At LaserTech Pain and Back Relief Center, we treat a variety of conditions. 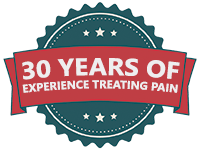 Our alternative pain treatments have proven to be effective in giving	countless patients the relief that they need. Whether your pain is a symptom	of an injury or caused by a medical condition, our friendly and highly-trained	staff is ready to help you. Arthritis: Are you experiencing pain, stiffness, swelling, or a decreased range of	motion? You may be suffering from arthritis. Arthritis affects millions	of Americans per year, turning simple tasks into arduous and painful endeavors. Neuropathy: Due to trauma, disease, or infection, your nerves can become damaged, usually	in the hands and feet. This is known as peripheral neuropathy. Symptoms	include burning, stabbing, or tingling sensations in their extremities. Spinal Stenosis: When your spinal canal begins to narrow, usually due to changes from arthritis,	the gaps between your vertebrae shrink. This causes the nerves around	your spinal cord to pinch, causing pain and numbness in your extremities or torso. Back Pain Sciatica: Back pain associated with sciatica is usually initiated by a herniated	disk in your lower spine. The most common symptom is pain that is spread	out over your lower back, side, and legs. Shoulder Pain: We use our shoulder muscles extensively throughout the day. From lifting	objects to walking, our shoulder joints and ligaments are constantly in	motion. Due to its heavy use, shoulder injuries are common. Knee Pain: Knee pain can be caused by a variety of factors. Injuries, such as torn	ligaments and sprains, can have long lasting effects without treatment. Additionally, medical conditions like arthritis and tendonitis can cause	extreme pain. To get on the path to recovery, please contact us for a free consultation at (602) 633-1063. Hear from our patients how LaserTech has made a difference in their lives. We provide innovative and effective treatments for arthritis, back pain, auto injuries, sports injuries, work injuries and more. Start your road to relief by calling our office to request your free consultation today.